We were quite excited when we received the invitation to be interviewed by Roy Ackerman for Coolcumber.tv earlier this month. In between all the cooking and developments at The Beehive, Dominic Chapman found the time to tell Roy Ackerman more about the Beehive, his food and himself. 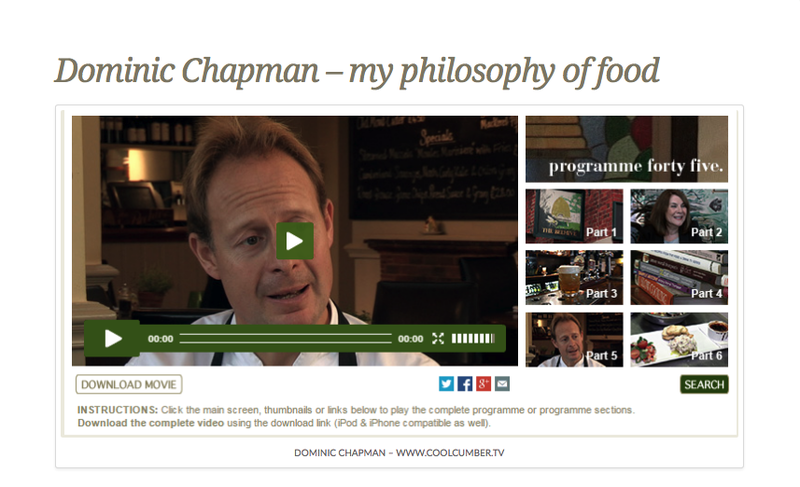 In the Coolcumber interview Dominic Chapman gives an insight in his philosophy of cooking as well as in the choices he makes while preparing the menus. Coolcumber.tv is a regular food magazine programme for everyone that is excited about good food. Restaurants featuring in the magazine are selected by the Ackerman Collection Team.